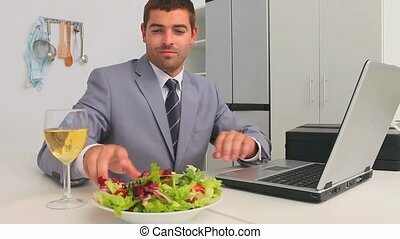 Businessman working on his laptop at lunch time. 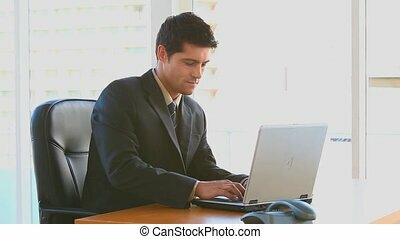 Young handsome businessman working on his laptop and his beautiful girlfriend kissing him and supporting in all his projects. 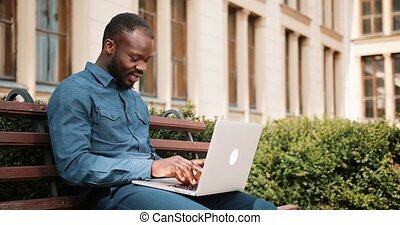 African American bussinesman sits on the bench and works on his laptop. 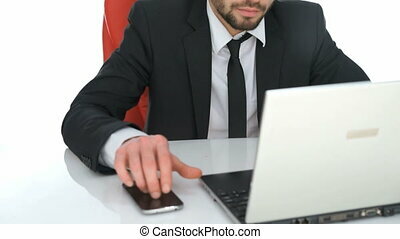 Businessman working on his laptop in the park. 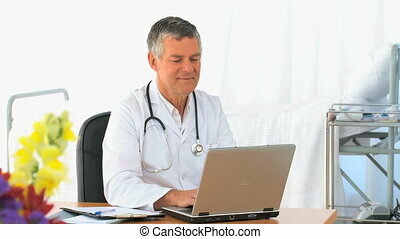 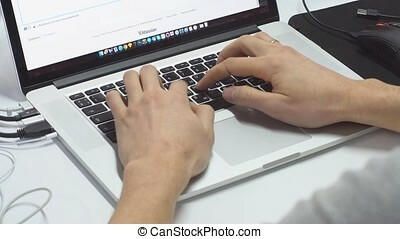 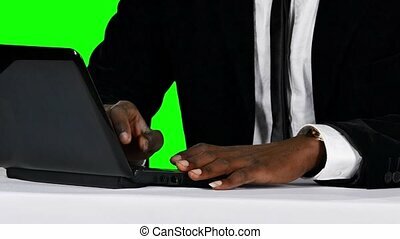 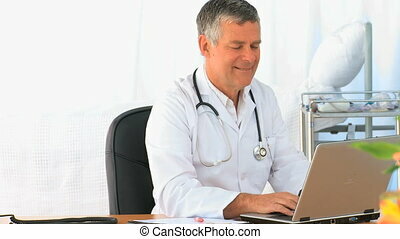 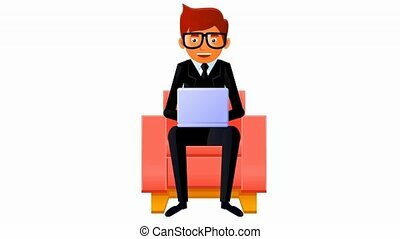 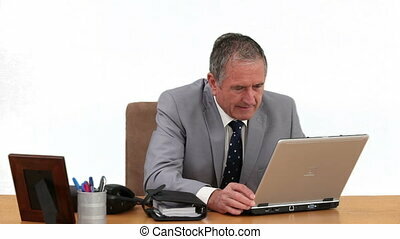 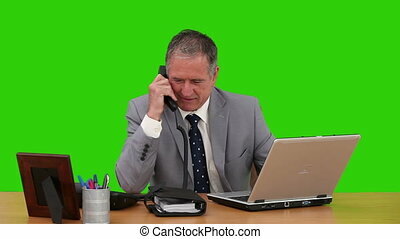 Video of a businessman working on his laptop. 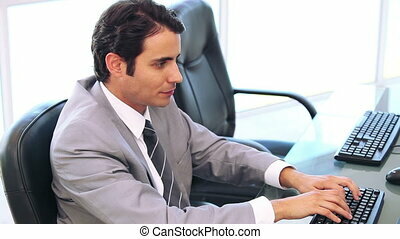 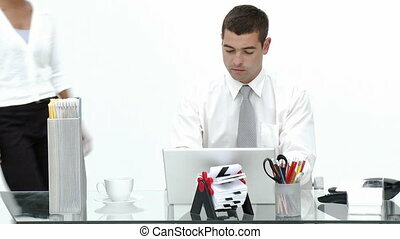 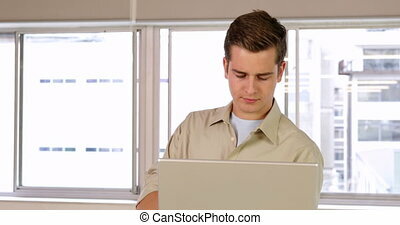 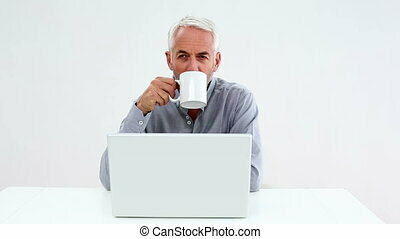 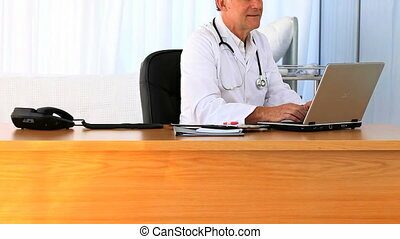 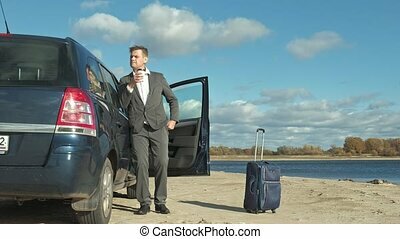 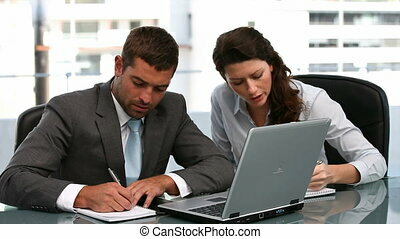 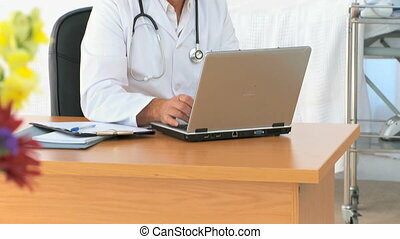 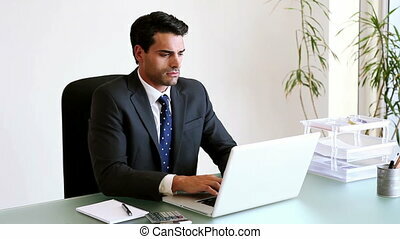 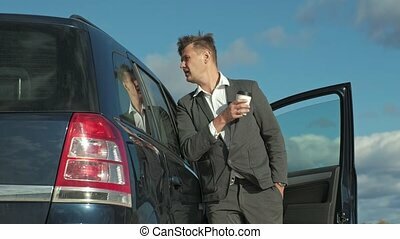 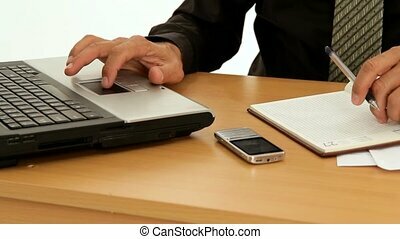 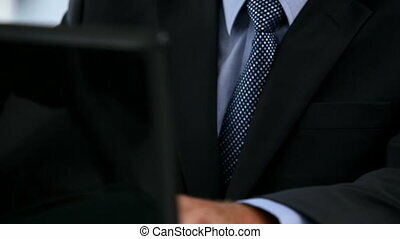 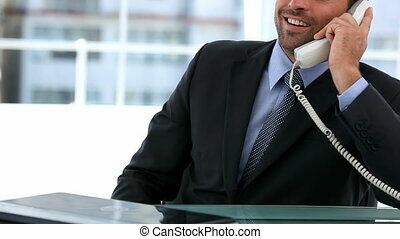 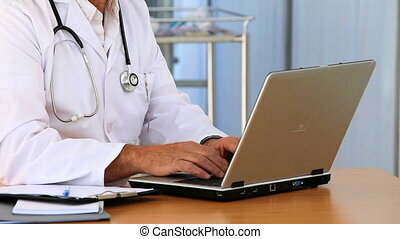 Businessman working in office for his laptop. 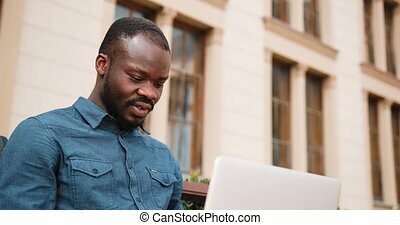 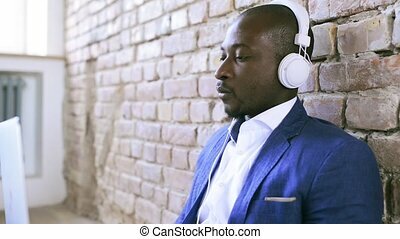 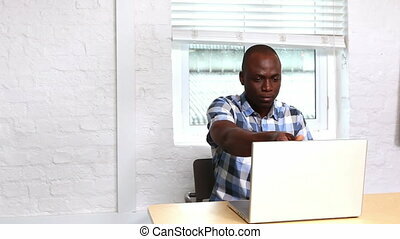 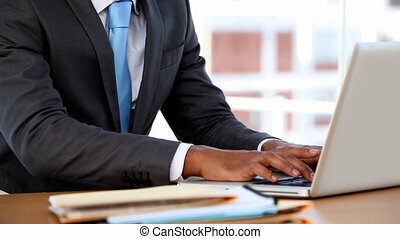 Handsome young African businessman with headphones in his office, sitting on the floor, working on laptop.